This eye catcher is named after Isaac Newton and provides firm proof of kinetic energy. 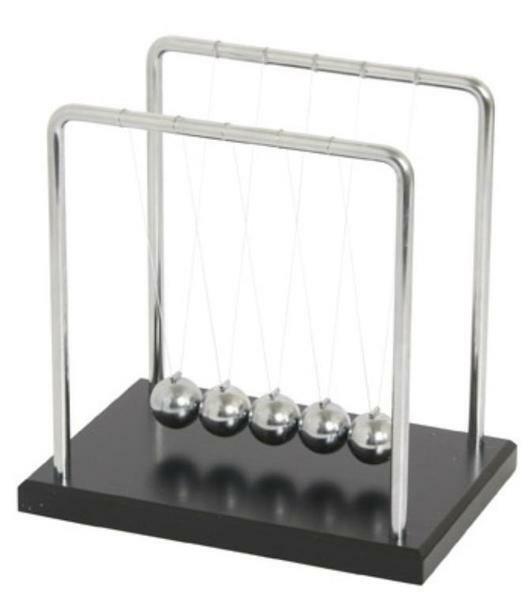 This gadget consists of 5 identical steel balls which have been carefully hung next to each other in a horizontal line. If you lift and release the ball on the right side you will hit the other ball. That's when the magic happens. The ball at the other end bounces using the same force as the first ball while the balls in the middle remain stationary. Releasing two balls will result in two balls at the end bouncing. The balls in between will never move. Why not experiment and see how much fun you can have with the Kinetic Balls. 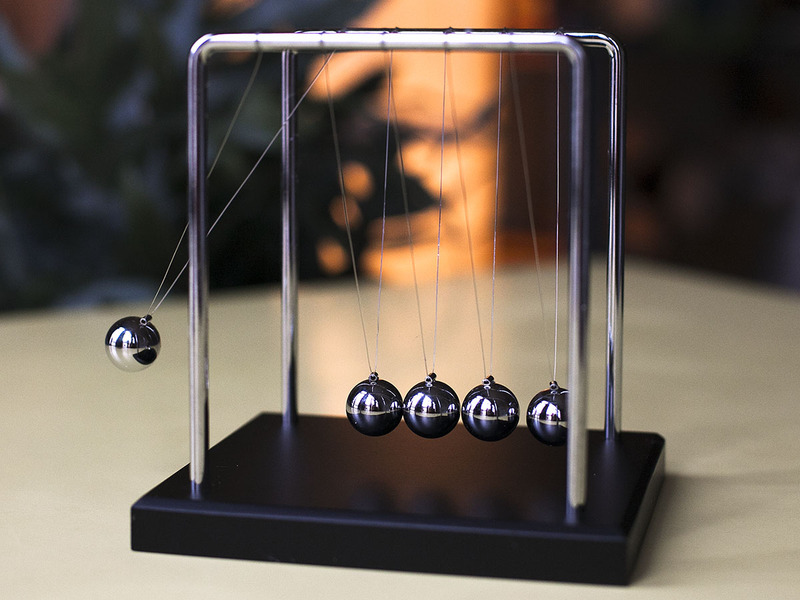 Newton's cradle - also known as the Balance Ball of Kinetic Balls - is one of the oldest and most interesting physics games which allow you to test Newton's Third Law of Motion. 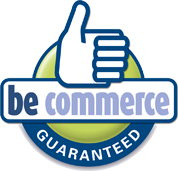 The 3rd Law is that of action and reaction. This is also known as the Law of Conservation of Energy.